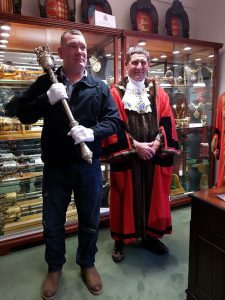 Below are a selection of photos from this years event. Stars in our Schools is a nationally coordinated competition run by UNISON. The competition recognises the invaluable contribution made by school support staff. These staff often make the difference in schools to ensure a positive learning opportunity is available to pupils. 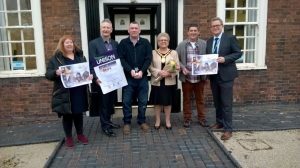 This year in Sandwell the competition has been promoted in the borough by Sandwell UNISON. Nearly 70 nominations have been received. Prizes have been awarded to Stars in school and an overall prize has been awarded to the Star of Sandwell. This year’s Stars in our School for Sandwell is Denise Welch from Phoenix Collegiate. 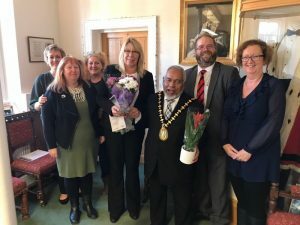 Both Denise and her line manager enjoyed afternoon tea in the Mayor’s Parlour with Ahmadul Haque, where she was awarded a plaque to commemorate the achievement. (See picture below). 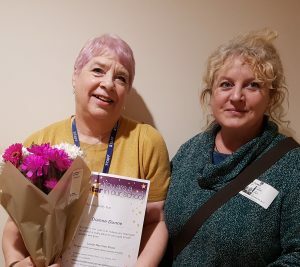 A series of runners up were recognised, and UNISON representatives attended surprise assemblies or staff briefings to award certificates, chocolates and flowers. Please see the below winners from 2016. 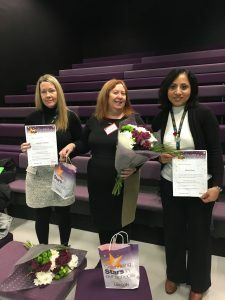 Sandwell UNISON Stars in Our Schools (SIOS) ran a two month campaign highlighting and celebrating the amazing contribution of school support staff in the running of the 114 schools across Sandwell borough. 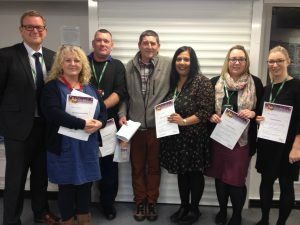 Following a series of school meetings, visits and drop offs throughout the year, Sandwell UNISON introduced a new and efficient online nomination process, as well as working through our reps and workplace contacts to get nominations on a face-to-face basis. In a number of schools, Head Teachers also set up nomination boxes for staff to use, and school notice boards were awash with purple and yellow Stars information. Due to our multipronged approach of nominations, we received the HIGHEST number of nominations to date in Sandwell: 77 individual and team nominations across 16 schools. We also opened up the campaign to non-members, meaning the Stars campaign could be a school-wide celebration. Everyone who was nominated received a certificate, and the winners in each school received chocolates and flowers. We have been presenting them in a number of assemblies, getting the kids to do drum rolls as we announce the winners! 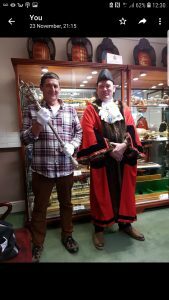 We decided to award an additional prize: Star of Sandwell. This person or team received not just the highest number of nominations, but the most heartfelt and unique nominations too. We awarded the Star of Sandwell to the Cleaning and Site team at the Orchards School. Cleaning and Site staff often do not receive the praise they deserve, and this team were particularly fantastic! 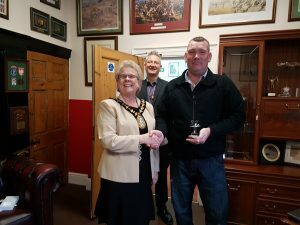 We invited the team and the Head Teacher to Afternoon Tea with the Sandwell Mayor, Cllr Julie Webb, where awards (including a plaque for the front of the school) were presented and lovely speeches made. The team really enjoyed the Afternoon Tea, and we loved meeting them. We also made Stars in Our Schools a week-long celebration instead of the one day, meaning we have been presenting prizes all week – all branch officers and employed staff have helped make those celebrations unforgettable. Overall, the Star in Our Schools campaign has enabled us to utilise all forms of communication to engage with members and non-members – emails, online nominations, newsletters and posters in schools, and face to face meetings – and has provided the opportunity for our brilliant school support staff to be celebrated in the way they deserve. Well done everyone.